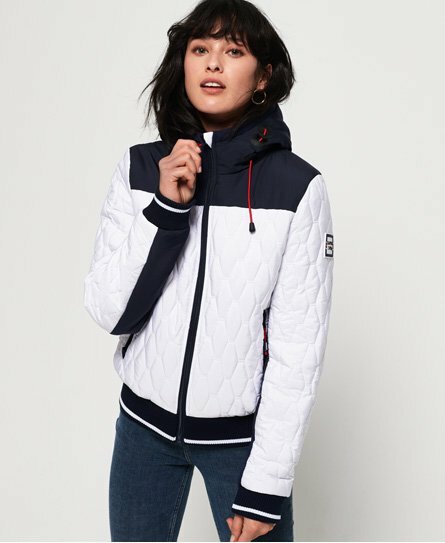 Superdry women's Atlas padded jacket. Up your outerwear collection with the Atlas padded jacket, featuring a bungee cord adjustable hood, zip fastening and two zip fastened front pockets. This jacket also features a ribbed hem and cuffs with contrast stripe detailing. The Atlas padded jacket is completed with a logo badge on one sleeve and logo taping inside the hood.